Painting with acrylics can be rewarding, easy and fun because it is so versatile. Acrylics can be used in many ways to create different styles of art such as impressionism, realism, and cubism. Beginners to intermediate artists are welcome to join this class. You will work with acrylic paints and learn how to add in mixed media or modeling paste to create textures and dimension to your paintings. The course is structured to teach you about using a canvas, drawing and composition, tones and values, color mixtures, and painting techniques such as blending, textures, highlights, and shadows. 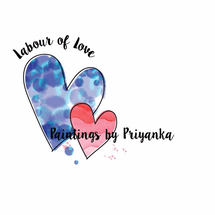 Priyanka, your tutor is a self-taught artist who is passionate about sharing her knowledge as much as creating her own paintings. 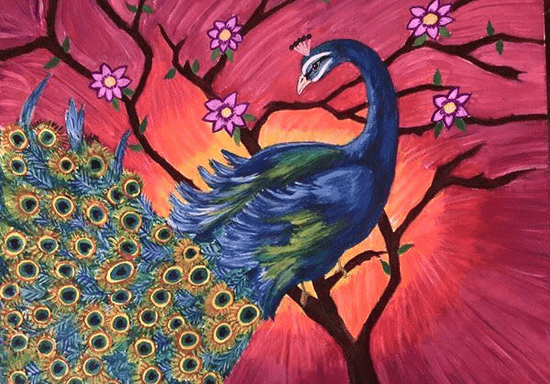 Her artwork has been recognized by various art portals in UAE and she has over 3 years of experience offering art lessons at her home studio. We recommend 8 sessions for complete beginners and a minimum of 4 sessions for artists with basic knowledge looking to improve painting techniques.